First of all, let me express my warm welcome to all of you who decided to take part in the SOER2015 launch event at the European Parliament. A special welcome to Mr Falkenberg and other representatives of the COM, Mr Bruyninckx and his colleagues from the European Environment Agency including Ms Fay, Mr Scoullos, to our knowledgeable expert speakers, the co-hosts and all MEP colleagues. Unfortunately, Mr Leinen could not join us but we very much welcome Ms Miriam Dalli as our co-host from the SnD Group, together with Mr Jose Inacio Faria representing the ALDE group. 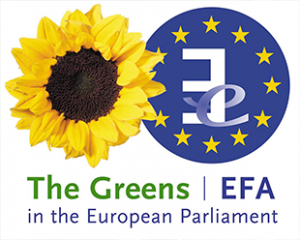 I am Benedek Jávor, Green MEP and first vice-chair of the ENVI Committee. I feel honoured to co-host the event as the State and Outlook report is highly relevant for the work of the members of the European Parliament and other stakeholders as its serves as a key source of feedback for environmental policies in place in terms of their achievements and impacts. This is an essential element we crucially need for policy adjustment and improvement. The flagship report of the Agency analyses the state of Europe’s environment every 5 years. It is not a simple study with standalone figures. Importantly, the 2015 report provides a state and outlook placed in the context of the 7th Environment Action Programme and its 2050 vision. The report clearly demonstrates that despite some positive short-term trends Europe is not on track to achieve long-term sustainability. Just to name a few areas where long term prospects are alarming: land use and soil functions, climate change and the associated health risks, energy consumption as well as transport demand. Biodiversity and habitat loss, land-take and overexploitation of resources continue despite existing policy targets at different levels. As the report itself stresses, in some cases the level of ambition of our existing policies seems inadequate. Current efforts will not be sufficient to achieve the 2050 vision set in the 7EAP. As our speakers will also highlight, we urgently need to create more integrated, coherent and truly ambitious policies and actions. We need to further strengthen implementation and improve governance as well as our institutions. I believe that institutions should better reflect long term sustainability efforts and the needs of future generations. New approaches in governance could help us exploit synergies among policies and policy approaches. And above all, we need to bring about profound changes in practices and behaviour – taking into account possible lock-in effects and trade-offs as well. These aspects are all reflected in the SOER report. The report goes beyond the long-term vision and offers credible and feasible transition pathways. Another asset of the SOER2015 report is that it is based on objective, reliable and comparable environmental information, and draws upon the evidence and knowledge base available to the Agency and the European environment information and observation network in 39 European countries. We need to further improve the knowledge base, to rethink some of our indicators and in more general terms, how we measure progress. I was also happy to find reference to the importance of giving full value to natural capital. The report states that implementation of existing environment and climate policies resulted in improvement on the state of the environment and reduced health risks yet it also stresses that further implementation efforts by countries can reinforce these trends. 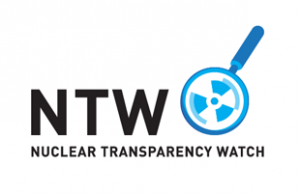 I am convinced that governments and other actors need to be assisted, inter alia by providing room and level playing field for citizens` based initiatives, by ensuring that citizens are well-informed and have effective access to justice in line with the Aarhus Convention and by strengthening environmental inspections e.g. through extending the inspection requirements. These are of utmost importance when it comes to the effectiveness of our policies. As for better regulation and governance, I feel a bit concerned about some recent developments in this respect – e.g. in the 2015 work programme of the Commission there are a huge number of withdrawals or modification of pending proposals including crucial pieces of environmental and health legislation such as the circular economy package. I believe that the EU must prioritise legislation that serves the citizens’ needs and lead to the fulfilment of the 2050 vision of 7EAP ’living well, within the limits of our planet’. proper signals on the state of the environment quality of life, well-being, progress and social cohesion, transition to a green economy as well as information on potential synergies and trade-offs of our policies..
systematic evaluation of existing polices to assess the tangible effects, the actual added value as well as to point out the shortcomings. I believe that the reason the SOER reports are extremely valuable is because they contribute substantially to all three elements I just mentioned. I truly hope that the report will experience a broadening uptake reaching out to an ever-wider audience, including the Members of the European Parliament and all policy and decision makers at all levels. This could lay the foundations for reshaping European policies with holistic and long term approaches. As for the format of the event, first the Executive Director of the European Environment Agency, Prof. Bruninckx will deliver his keynote speech on the main outcomes and policy-relevant messages of the SOER2015 report. Then our well-known and very knowledgeable experts speakers, namely Mr Luc Bas, Director of IUCN, Mr Ernst von Weizsäcker,Co-President of the Club of Rome, Ms Laura Burke,Director General of the Environmental Protection Agency of Ireland and Mr Janez Potocnik, co-chair of the UNEP International Resource Panel will respond from perspectives of the priority objectives of the 7th Environment Action Programme (natural capital, resource efficiency, human health and well-being, implementation) In the Q/A session we will open the floor for all participants to raise questions, give comments. This will be followed by reflections from Mr Falkenberg, Director General of DG ENVI. After the closing remarks by Mr Jose Inacio Faria we will have a short, technical break and a cocktail reception here in the room. I wish ourselves a fruitful workshop and a lively exchange of views.